Sent this mini painting off to Norway to participate in the Twitter Art Exhibit. All entries are Postcard Art, which means they are painted on heavyweight paper cut to the size of a postcard. All of the artwork is displayed at a show and each one is for sale for $35.00. The sales go to charity. 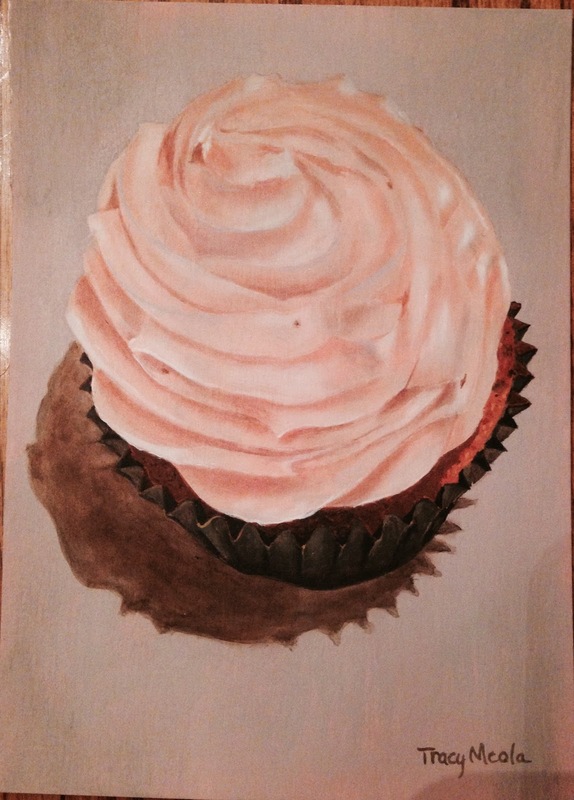 I didn't want to do one of my usual cupcakes, so I chose an unusual perspective for this painting.